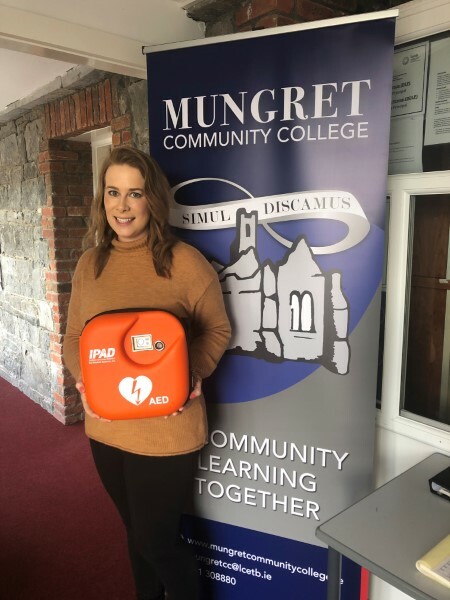 Mungret Community College in Limerick recently purchased a Defibrillator for their school. Great to see the school putting staff and student safety first. Staff Member Diana Keays is pictured. Phonebox and Ce-Tek Medical Cabinet and Defibrillator recently installed in Shallon, Julianstown, Co. Meath. Well done to all involved!! Congratulations to Patrick McGreevy of the Leitrim Civil Defence and of Kiltubrid GAA on being the lucky winner of this state of the art CE-TEK Medical Outdoor Heated Defibrillator Cabinet.